Last edited by loboris on Tue Oct 24, 2017 7:08 pm, edited 20 times in total. 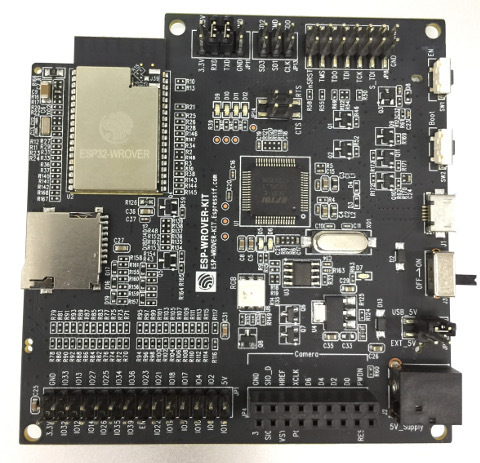 Taken the application support for psRAM and the ESP-WROVER-KIT with 4MB of psRAM have been just recently released, this is really remarkable. Same for the L01 (with LoRa). I ordered 10 (minimum for OSM modules) and received on the next day. The repository can be used to build MicroPython for modules with psRAM as well as for ESP32 modules without psRAM. Standard esp-idf and Xtensa toolchain can be used if building without psRAM support. Eclipse project files are included. The opening post is updated with new information. Good news for everybody wanting to work with MicroPython on ESP32+psRAM. Are they going to do any certifications? WiFive wrote: Are they going to do any certifications? Last edited by rudi ;-) on Wed Aug 09, 2017 2:07 pm, edited 1 time in total. Added native ESP32 VFS support, MicroPython's FatFS VFS is not used (it can still be selected via menuconfig). It is now very simple to work with files from C modules using standard file functions. Thanks to SHA2017 Badge Team for initial support. Last edited by loboris on Wed Jul 26, 2017 12:28 pm, edited 1 time in total. See GitHub repository for more info.